Our chosen few that helped us the most. These online tutorials cover beginner to more complex issues - because Expression Web has just been released a wide variety of web tutorials are not yet available however, most web-based FrontPage tutorials are applicable. Some of these Expression tutorials are interactive requiring a broadband connection for practical viewing. All of the books and training videos are current and specific to Expression Web. (by Microsoft) Beginning Studies: The smart way to learn Microsoft® Expression® Web 4 -- one step at a time! Experience learning made easy -- and quickly teach yourself how to create dynamic, standards-based Web sites. With Step by Step, you set the pace -- building and practicing the skills you need, just when you need them! Microsoft Expression Web 4 LiveLessons (Video Training) Video DVD Learning: These practical videos walk you through starting projects, building effective pages, using Code View, and thoroughly mastering Expression Web 4’s powerful CSS capabilities. You’ll find hands-on coverage of Dynamic Web Templates and site management, browser testing with SuperPreview, search engine optimization with the new SEO Checker, and more..
Plan, create, and work with Web sites using Microsoft® Office Expression Web 4. 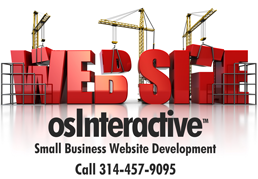 Also understand Expression Web sites, Web servers, and publishing. Lynda.com Expression Web Expression Web training and tutorials at lynda.com. Try the free Expression Web video tutorials, and become a member to access all courses. Expression Web 4 E-Book Beginner Tutorial Free Expression Web 4 Tutorials EBook 2nd Edition by Pat Geary Microsoft MVP Expression Web. The EBook is a great resource for beginners and newbies to Expression Web. It has been revised and updated with several entirely new sections. AGI provides introductory, advanced, private, and customized Microsoft Expression Web Training. Whether you need to develop a complex or basic Web site, integrate interactive Flash or Silverlight content, or publish corporate or departmental information to the Web, AGI has Microsoft Expression Web training courses to meet your needs.